Gamora, last of her species, lost her family at a young age. Subsequently adopted by galactic supervillain Thanos, she was trained to be an elite assassin. Teaming up with the Guardians of the Galaxy, she fights with her friends to protect the galaxy from the evil plots of Ronan the Accuser and her adopted father. 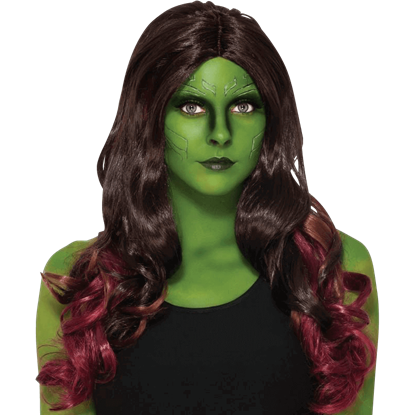 For those looking to obtain this aliens signature look, we at Superheroes Direct offer Gamora costumes and wigs. Our makeup kits are perfect for emulating her green complexion. Great for casually displaying your love for gamora, our t-shirts depict Gamora with her friends and teammates from the 2014 film. 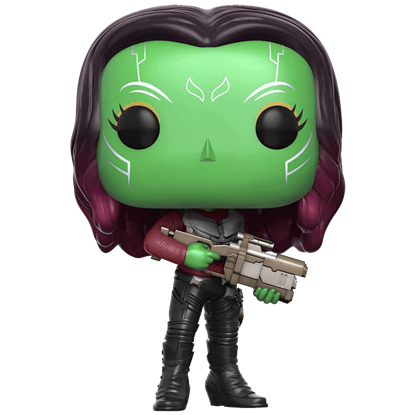 Our Gamora POP figures, accessories, drinkware, bags, lunchboxes, playing cards, and more make excellent collectibles to complete any superhero or Guardians of the Galaxy set. The adopted daughter of the villain Thanos, Gamora is a fierce superheroine introduced to moviegoers in the Guardians of the Galaxy. The Adult Gamora Costume allows you to dress as this soldier, assassin, and outlaw. The Guardians of the Galaxy introduced moviegoers to Gamora, a fierce superheroine and adopted daughter of the villain, Thanos. 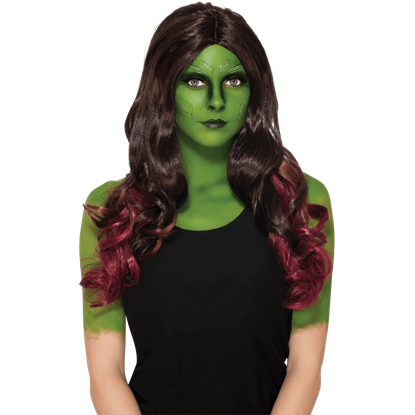 This coming Halloween, show off your love of this complex character with the Adult Gamora Wig. Saved as a child by the villain Thanos, Gamora was introduced to moviegoers in the Guardians of the Galaxy film as a skilled and feared assassin. If you want to take on the look of this ferocious superheroine, you will need this wig. 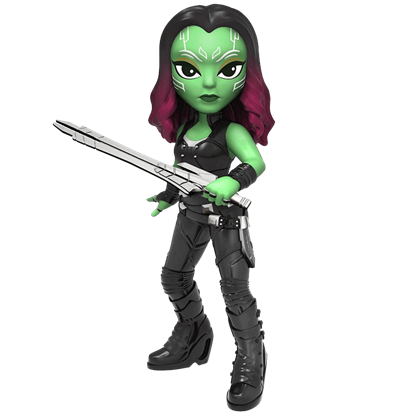 The Most Dangerous Woman in the Universe proves she can handle a gun just as well as a sword in the Guardians of the Galaxy 2 Gamora POP Figure. This miniature depiction stands ready to protect the Marvel Cinematic Universe. The Most Dangerous Woman in the Universe is a worthy title, but as fans already know, it is still an understatement of her abilities. Just observe the cool expression of the Guardians of the Galaxy 2 Gamora Rock Candy Vinyl Figure.